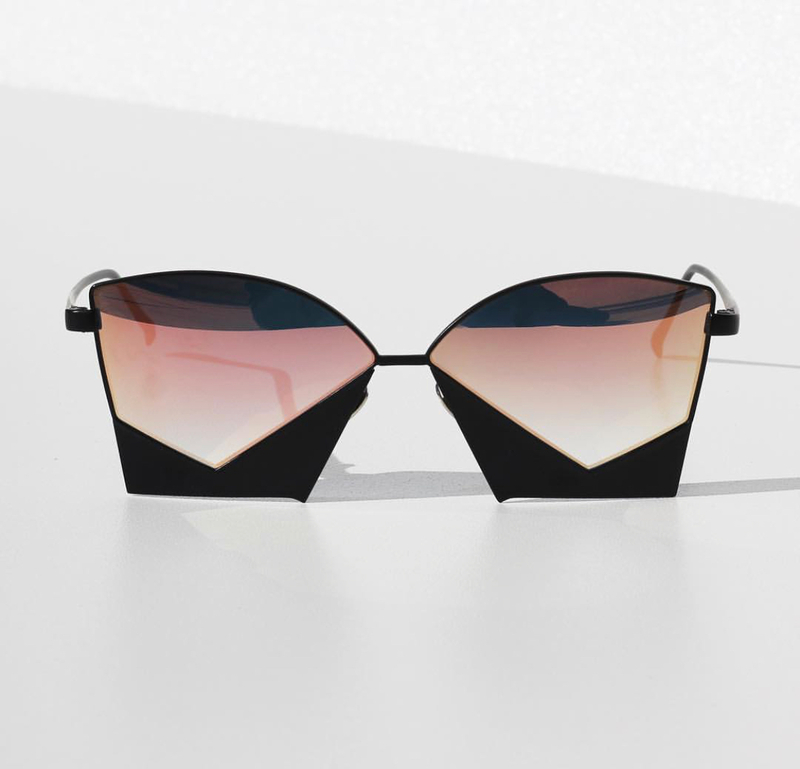 Pink black sunglasses. Front Width: 141mm. Lens Width: 63mm. Material: Metal/Titanium nose pad. Stunning statement glasses that flatter any face shape. 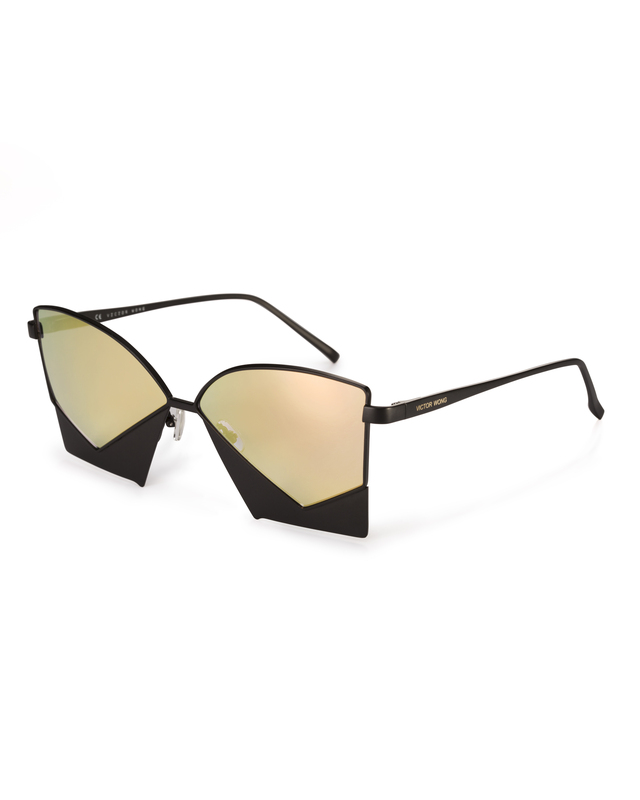 Crafted from premium metal and titanium, these glasses are made to last past the summer season. Even with his most unusual designs, Victor Wong blends functionality with luxury. All of his pieces are made from high-grade materials, to ensure these accessories are show-stopping for years to come. Victor Wong has told journalists that one of his inspirations behind behind his label, is the people who sold their handicrafts along the river Xushui that ran through the small village he grew up on. He is known for his elegant, unfussy eyewear design, as well as for his elaborate statement pieces. We especially adore his cat eye designs, they manage to be both wearable, and like nothing we have ever seen before.